Tadradan, Hagen and Sparta can time out of their busy schedules to provide you with a stern warning regarding Homefront The Revolution. Well, one of them thinks that there is promise. We go over everything, the good, the bad and the SERIOUSLY!? Homefront The Revolution is set to release on May 12, 2016, but Tadradan believes that should be pushed out to work on many of the issues. Not just the technical issues, but the problems with the game itself. 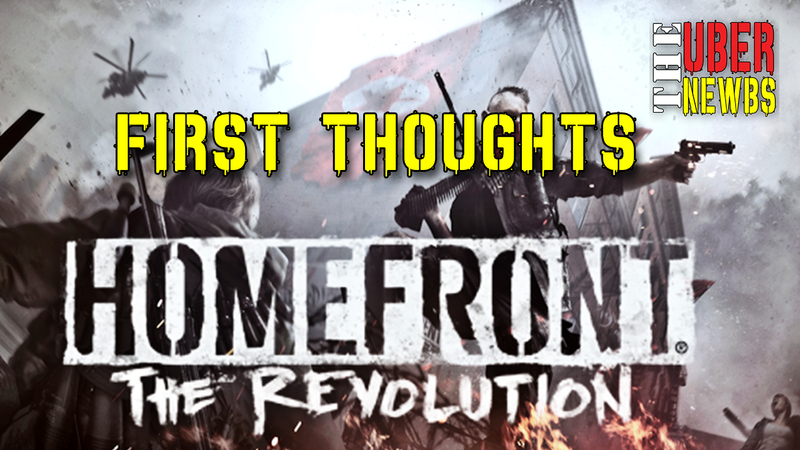 The premise behind this game is supposed to be that it picks up where the original Homefront left off. If you remember the epic battle in San Francisco, how long it took to get to that point, and how hallow and unfulfilling it felt, I would suggest you to prepare yourself for more of the same. The publisher Deep Silver is promising to release this game as an open-world game. If you read their core features on their website, it reads like Fallout 4, just without the vault, power armor or pip-boy. I think Deep Silver is trying to hard to be something they aren’t ready to be, and that will hurt more than it will help. Some games are so bad when they are released that there’s nothing left to do but pull it off the shelves and start over. Square Enix learned that lesson and it really feels like Deep Silver is in for some of the same dish. There is potential, but given the level and breadth of issues rampant in this game, amongst other things (like the quality of their website….seriously, you couldn’t get better graphics?) I don’t think they will be able to pull it off.